As you may have noted above, it’s the first video recording from my trusted Sony Cybershot DSC-W120 and what better place to do it than the Sunflower Showdown. 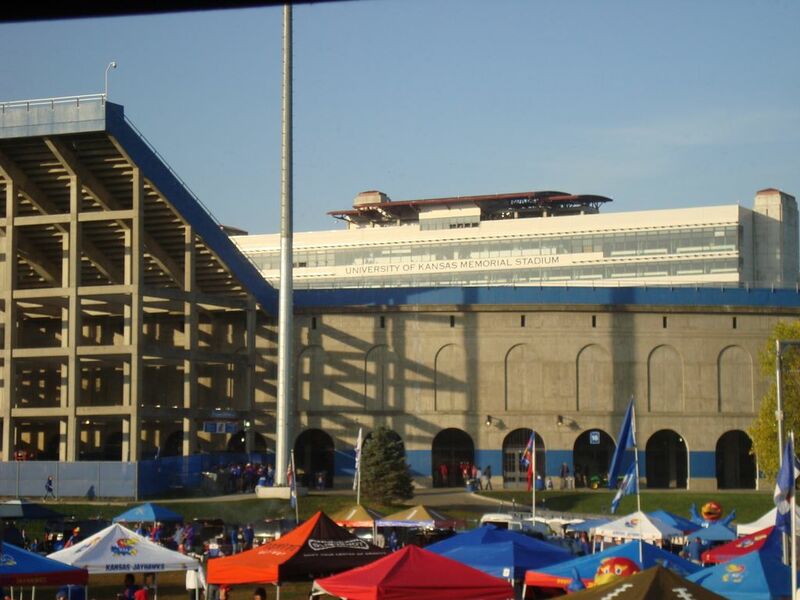 To correct myself, Kansas State played Kansas for the 106th time at Memorial Stadium in Lawrence, Kansas. 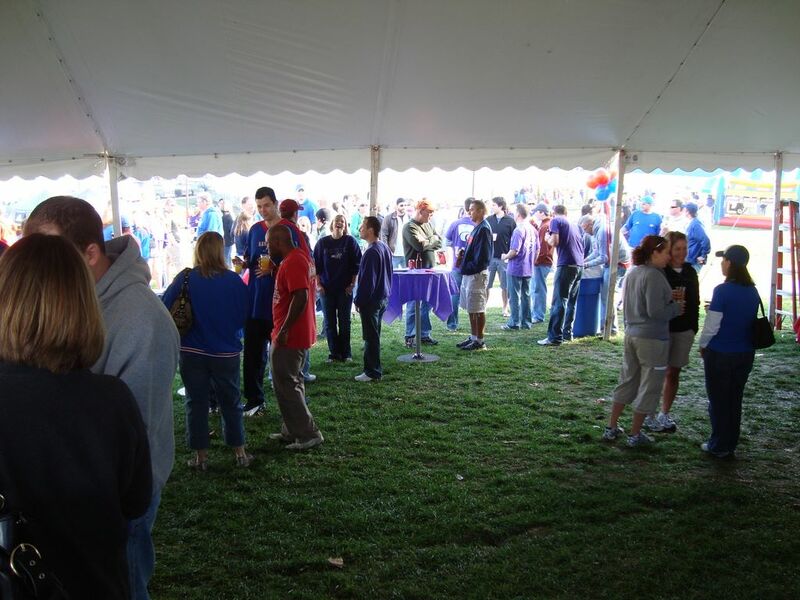 The courtesy tent we started out in foreshadowed the day as we tailgated our way to another glorious set college football games. 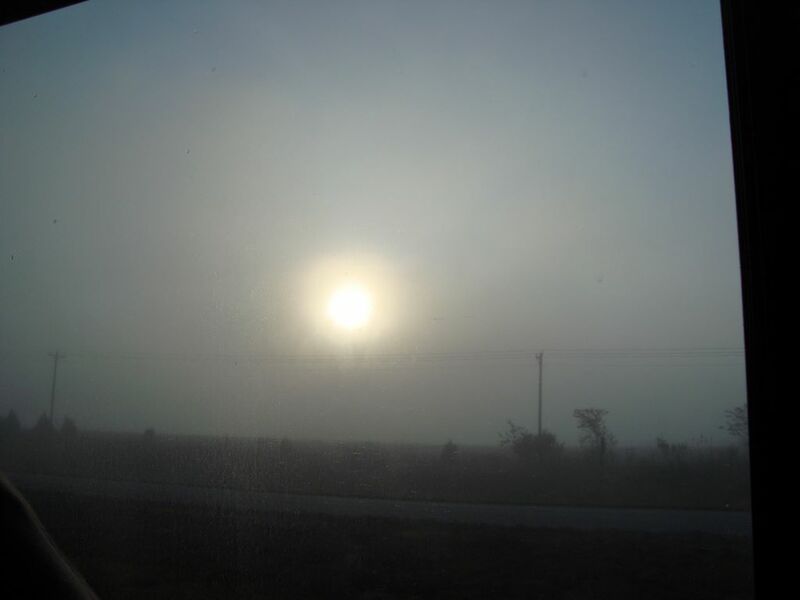 The fog from the morning lifted for the game, but our own fog soon returned. This was a road trip to remember, sorta. The Yeti was up bright and early for the congregation to the secret meeting location where buses would wisk us away to the showdown. Thanks to the Yeti’s lady, we tagged along on the courtesy company’s bus all the way down to their temporary headquarters on the vetted “Hill” by the stadium. The unusual turn in the weather the last couple of days led to some massive fog in the morning. We should’ve known what this meant for the game, but once it lifted on K-10, we forgot about the premonition. Pulling into the stadium, the Yeti was a little taken back by its structure. 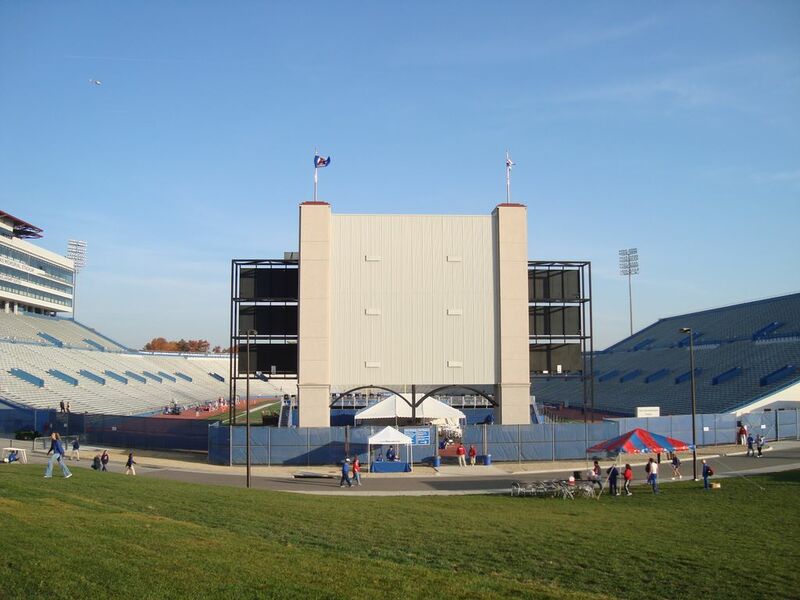 This was the first time here for the Yeti and from the talk about the place, the perception about Memorial Stadium landed on “tiny dump.” The addition of custom super expensive recliners on the end of the field is a nice touch and makes the viewing more of a unique experience. Although, it blocked the view of the game from the courtesy tent. 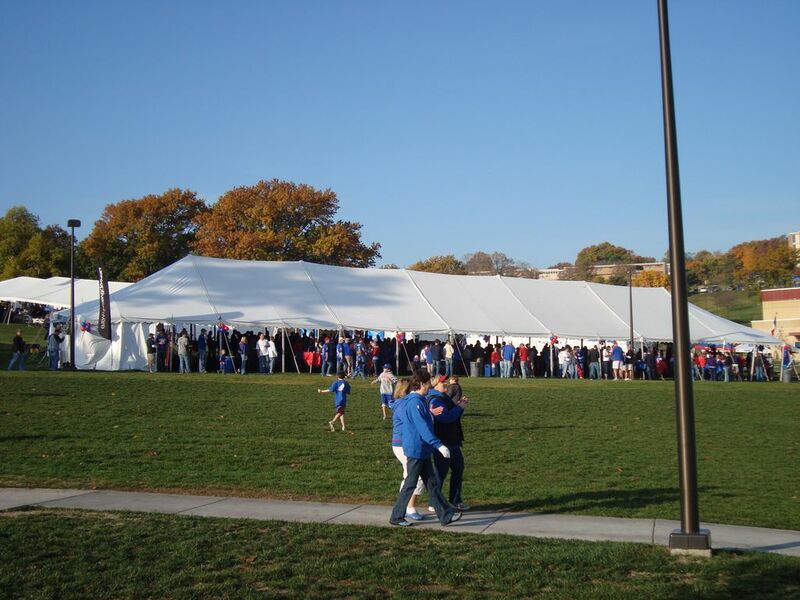 The “Hill” hosted courtesy tents and it makes complete sense to dump corporate sponsers there instead of letting students watch the game for free. Good job KU. Hanging out in the tent after our arrival, the Yeti was marveled at how enormous the setup was compared to the other tents on the hill. It also happened to be the closest to the stadium. 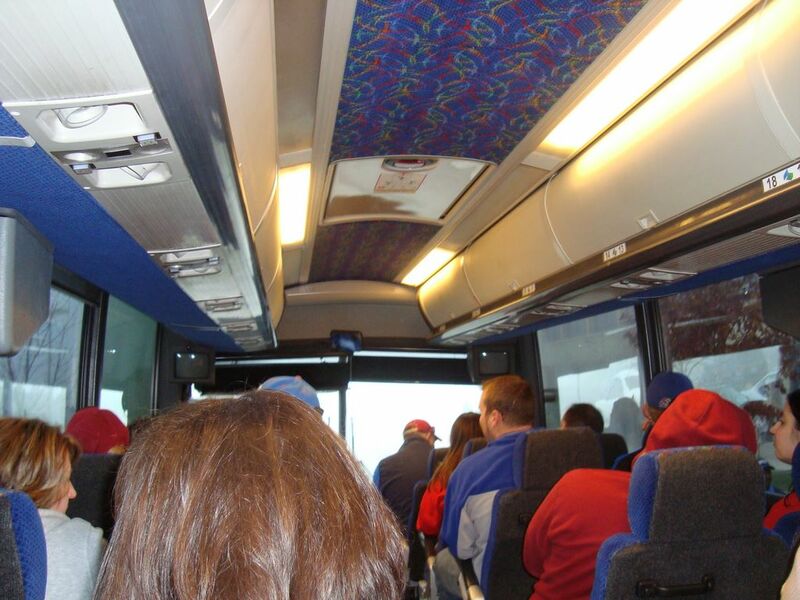 We were on the earliest of buses so when we hit the bricks to the tent, the population underneath the tent was sparse. After awhile, however, more and more people showed up, sporting an even amount of blue and purple. That’s part of why the lack of chairs and standing table was a good call for traffic.